I am delighted to serve as provost and executive vice chancellor for Academic Affairs. This is a wonderful opportunity to work collaboratively with the UNCG community to chart a course of excellence in all aspects of our academic mission, transforming the lives of our students and the communities we serve. UNCG is a model university, ranked among the nation’s best by U.S. News and World Report and recognized for its excellent undergraduate education by the Princeton Review. Eight colleges and schools offer outstanding academic programs at the graduate and undergraduate levels, providing opportunities for students to achieve their personal and career goals. One of the points of strength that appeals most to me about the opportunity to serve UNCG is the university’s balance of first-class teaching, research and community engagement. UNCG is firmly committed to each critical areas of our mission. As a result, the comprehensive UNCG experience creates meaningful learning outcomes for students, preparing them to make an immediate impact in their professional lives. In addition, university research and creative activity make important contributions to knowledge and enhance quality of life. In this ever-evolving higher education landscape, I believe that UNCG is poised to be the university that other universities emulate for the many ways that we serve both our students and the community. Much is expected of higher education institutions today. At UNCG, we are doing what the public is asking—offering a high quality, affordable education while serving as careful stewards of public resources. We are not just adapting to rapid changes in higher education; we are innovating in creative and committed ways to make a positive difference. Dr. Dana Dunn is Provost and Executive Vice Chancellor at UNC Greensboro. In her role as Provost, she has responsibility for oversight of Academic Affairs, Enrollment Management, Research and Economic Development and Student Affairs. 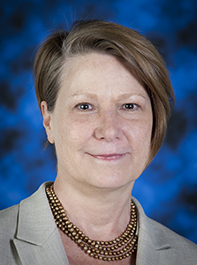 Previously Dr. Dunn held a series of leadership roles at the University of Texas at Arlington, including Provost and Vice President for Academic Affairs, Special Advisor to the President, and Associate Dean. Dunn played an active role in the University of Texas system providing leadership on a variety of matters, ranging from formula funding, student retention and graduation, distance learning and graduate education. Provost Dunn is a Professor of Sociology whose teaching and research interests focus on gender and the workplace. She is author of several textbooks and many articles and book chapters on these topics. She earned her undergraduate and Master’s degrees from the University of Texas at Dallas in Sociology and Political Economy and her Ph.D. from the University of North Texas in Sociology.